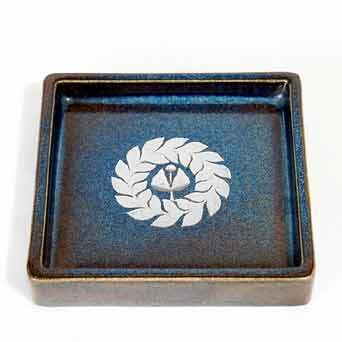 Gustavsberg 'ASG' tray - 3½" (88 mm) square. Made for ASG, the Swedish national freight carriers. The motif and the ASG logo on the back are in bright silver.